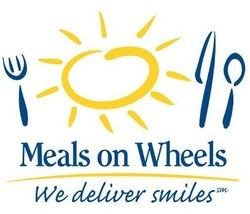 The Visiting Nurse Association (VNA) Meals on Wheels program provides hot, nutritious, freshly prepared meals five days a week to Dallas County residents who can’t provide for themselves due to illness, advanced age or disability. These meals contribute to the overall well-being of participating seniors, including those with chronic illnesses that are affected by diet, such as diabetes and heart disease, and those who are homebound. Drivers pick up meals at 10:30 a.m. and deliver hot meals and smiles to 12-14 seniors each day. The daily schedule averages 300 routes and 200 drivers, of which half are volunteers. Many members of Christ Lutheran Church are active volunteers with the VNA Meals on Wheels program.